← FMD: What’s in a name? This year marks the 15th anniversary of both the 9-11 attacks in the United States and the horrific outbreak of foot-and-mouth disease in the United Kingdom. One was an act of terrorism; one was a terrifying consequence of an accidental introduction. Members of the food and agriculture sector are sometimes reluctant to think of themselves as “critical infrastructure” as defined by the Department of Homeland Security. However, I think they do consider themselves essential elements of the nation’s economy and way of life. As one of those essential elements, the food and agriculture sector is a critical infrastructure and underlies the nation’s food security. Indeed, every producer can be looked at as critical infrastructure given the interconnected nature of the food and agriculture sector. Without the production and availability of foods, efforts to ensure access and utilization across demographics are futile. Food producing animals are vulnerable to a number of diseases and pests, some of which don’t currently exist in this country, some that mimic diseases that occur elsewhere, and some that routinely circulate with varying levels of ease. In spite of daily challenges that override the consideration of disease and pest threats, producers and ranchers need to be aware of these threats—be they intentionally or accidentally introduced—and their potential consequences. The poultry and egg industries in 2015 were the subject of the largest animal health event in US history due to highly pathogenic avian influenza (HPAI) and its eradication. The pork production industries have been dealing with emerging and re-emerging diseases, porcine epidemic diarrhea virus and Seneca Valley virus, respectively. Bovine viral diarrhea virus continues to circulate in beef and dairy cattle. 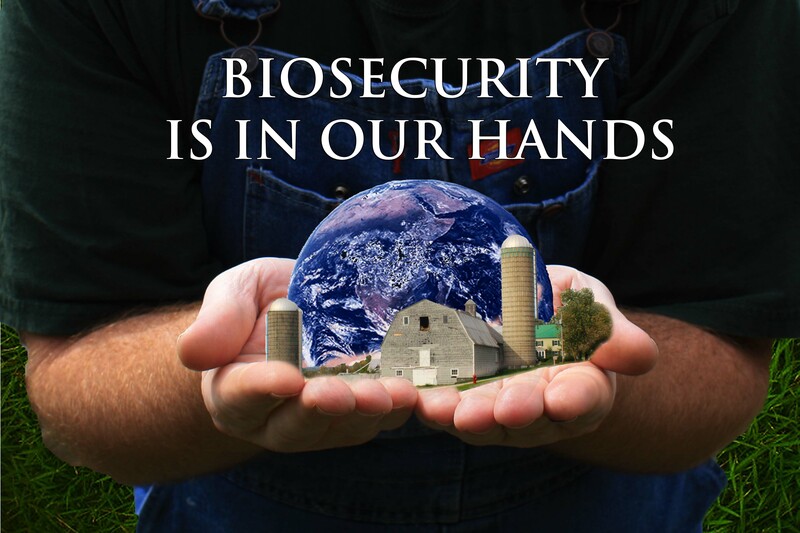 In each of these cases, biosecurity is an important tool for stopping the spread of disease. I am honored to be leading a team that is taking a new look at the barriers and motivators affecting implementation of policies and actions that can stop the spread of disease. You can read more about the project in the newsletters posted here. This entry was posted in Just My Thoughts and tagged ADBCAP, critical infrastructure, disease emergency preparedness, farm biosecurity, food and agriculture, food animal production, herd health. Bookmark the permalink.